Can we get some transparent blocks? The full armor block made of glass and it's variations. The round ones too, to make a Cristal ball. Could that be a middle click colouring option - colour transparent? I sent PM to the devs about glass blocks (for my wreck) yesterday. He said, that they no plans to add it back. That was exactly what I was thinking. You people make these things and I was hoping to see a glass dome too somewhere. That's a shame but then again, I do see some in-world logic. The blocks are generally made of metal. Although you can paint metal lots of different colours, transparent is not a colour. The blocks that include transparent parts require glass components to build them, so there is clearly some differential here. If there were an option to share the basic frames but choose to use glass components instead of plating to complete the blocks e.g. 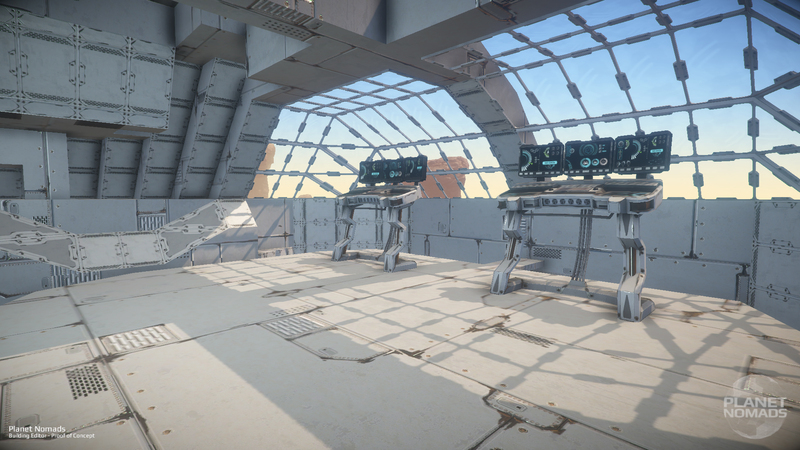 in game logic being that we still need to be able to build in high silicon but low iron regions, then it does kind of work I suppose but would reduce the strength of your structures significantly. You could always use a standard block but don't finish constructing it, leave it so its just the frame ??? They plan on adding a cockpit that is a chair and controls only, so we can build a ship’s bridge. And along with that should get something like an interior will with window, and I hope interior wall full glass. We need both cubes, and panels. So we can build a sunroof without placing 500 glass cubes. And hopefully the block/panel weight ratio doesn't make the latter too heavy for vehicles. Thanks for adding the window blocks! !